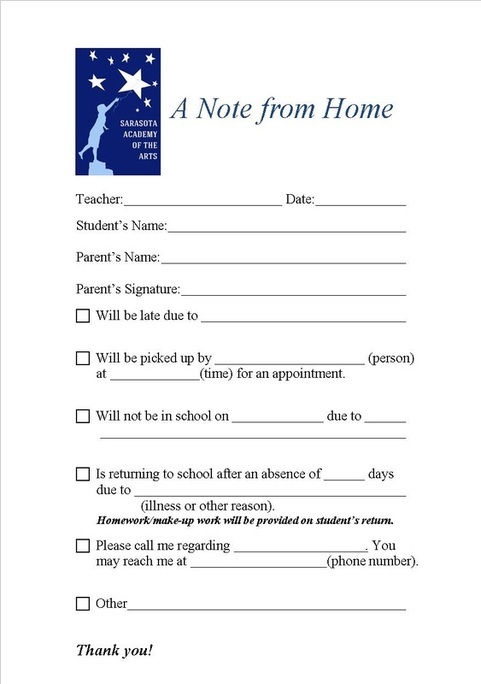 A signed Note from Home must be turned in for all Absences, Tardies and Early Dismissals. Please print out this form and either fax it to the office at 941-404-4492, or send it in with your student. If you have any questions, please contact Kathy Bechtel at 941-377-2278.